Temple was born in Georgia and spent most of her childhood in North Carolina. After four years in Charleston, South Carolina she made her way to the west coast, making home in San Francisco. During her eleven years in the city she worked with a number of directors, writers, visual artists, choreographers and musicians. Some of those artists include Loy Arcenas, Chitra Arunasalem, Sean Hayes, Mark Jackson, Tom Ontiveros, Sommer Ulrickson and Will Waghorn. It was in San Francisco that Temple met her long-time friend and collaborator Annie Kunjappy. Together they founded Strangefruit Theatre Ensemble with Rowena Richie and from 1996 to 2003 created six original performances, including Heat Death of the Universe based on the short story by Pamela Zoline, and Sewing Lessons, an exploration of the the art and lives of surrealist painters/writers Leonora Carrington and Remedios Varo. Both projects were supported by the Zellerbach Family Fund, and Sewing Lessons was honored with a Bay Area Critics Circle award nomination in 2001 for best direction, sound and costume design. Alongside her work with Strangefruit, Temple performed and designed for Art Street Theatre, Campo Santo, Nightletter Theatre, Pearl Ubungen Dancers and Musicians and Torque Dance Theatre. In 2003 Temple moved to Baltimore to pursue her MFA in Theatre Arts at Towson University. During this time she performed with Jackie Milad at the first annual Transmodern Festival and built the installation Tell Me Window for Cindy Rehm’s alternative art space spare room. In 2005 she presented Woofnova’s veils/vestiges: the aesthetics of hidden things at the Ontological-Hysteric Theatre in New York and acted in Richard Foreman’s first film/performance project Zomboid. Other Baltimore projects include One Hour and Eighteen a documentary drama by Elena Gremina, directed by Yury Urnov and produced by the Center for International Theatre Development, Samuel Beckett’s Rockaby with the Acme Corporation, Stellar Cellar, a live radio show written by Christine Ferrera and Night Reading, an original performance created in collaboration with Sarah Lloyd and Tom Shade. From 2010 to 2014 Temple hosted and curated the beloved Le Petit Salon, an annual celebration of performance and community. 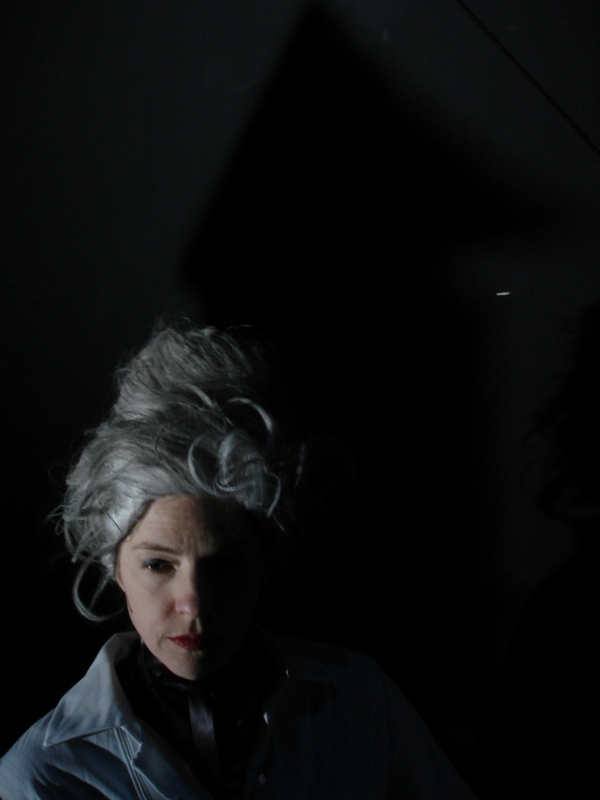 Most recently she created Come Shining, a performance exploring the aging mind and spirit and the endurance of the imagination. Temple just returned from Playa Arts and Science Residency program in the Oregon desert where she began developing a new project, to be with you and yours, with fellow performance maker Sarah Lloyd.